From now on, let’s say, I’m only going to acquire my books at Garage Sales. And then I’m going to write about them. This, then, is the first in a series I’m super psyched about. And I think I’m going to use this opportunity, also, to get serious and personal. Well, kind of,…. 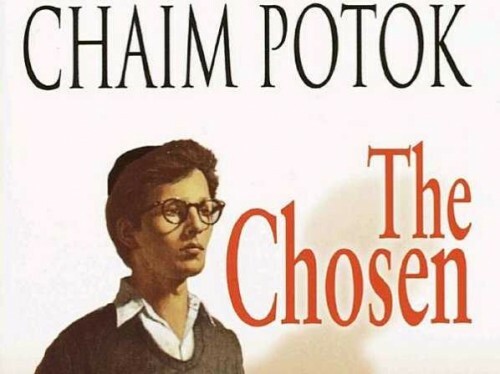 Okay, so a few days ago I bought Chaim Potok’s “The Chosen” at a yard sale close to my house. (Lately, on weekends, I’ve been trolling the neighborhoods because my wife collects teapots and it’s romantic to bring her home something nice. Last week I found a teapot it turns out was made in 1906. It’s worth about $20. Sometimes my wife, Edith, and I go hunting together and that, maybe, is the best). The book is about fathers and sons. About duty. Forgiveness. Friendship. War. Inheritance. And respect. I mean I’m only about a quarter of the way into it but this is what I think it’s about. . . . And, o, yeah, it seems to be about religion and patriotism too. . . .And it’s made me think, more than usual, of my own life! Of my childhood. Of my upbringing. Maybe this is because the narrator’s name is Reuven. My Hebrew name is Reuven too. The book (The Chosen) was published in 1967. I was born, also, in 1967, in Johannesburg, South Africa, where, several years later, I attended King David Victory Park. 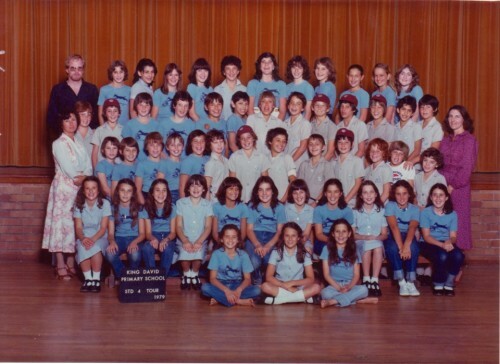 And there, as a matter of course, the essential importance of Judaism as well as Israel was strongly impressed upon me and the rest of the young students. After Reuven, 15 year old Reuven, gets hit in the face during a baseball game where not-so religious and really religious Jews are squaring off, he goes to a local Brooklyn hospital and has to have a bit of glass removed from his eye. He is concerned that he will lose the eye. In fact he is really frightened about this. I don’t know if this happens or not because I haven’t read far enough yet. When I was a little boy I had a really “lazy” left eye and for a year I had to wear a patch over it. I also had an operation to tighten the eye. Much happens during Reuven’s hospital stay. Ernest Hemingway’s “A Farewell To Arms,” gets mentioned, for example. Specifically, I’m talking about the scene near the end where the ants are crawling around on a burning log and the narrator, instead of taking the log out of the fire, pours water on the fire which, then, causes the ants to be steamed to death. Chaim Potoch, I’m guessing, admired Hemingway’s writing quite a bit. “The Chosen” utilizes a spare style and narrative pacing reminiscent of good Ernest Hemingway. Who doesn’t admire and envy, even a little, good old Ernest Hemingway? In the bed next to Reuven is a young, blind boy named Billy. The narrator observes Billy’s “beautiful” face. He is made to seem angelic. 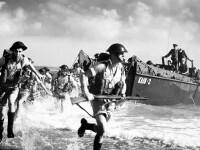 Reuven’s father leaves a radio at the hospital and they listen to live reports about D-Day. There is a beautiful scene where the narrator, Reuven, is looking at Billy’s face and then he notices a man coming up the aisle between the beds. And it is his father. And he is sad to see his father looking tired. . . . . .I am wondering if Reuven, the narrator, loses that eye or not. . . .I am wondering about violence. . Cruelty. . . How it all works out. . . .I love my dad.